Can't Afford A Jeff Jones? Here's A Free Bike! 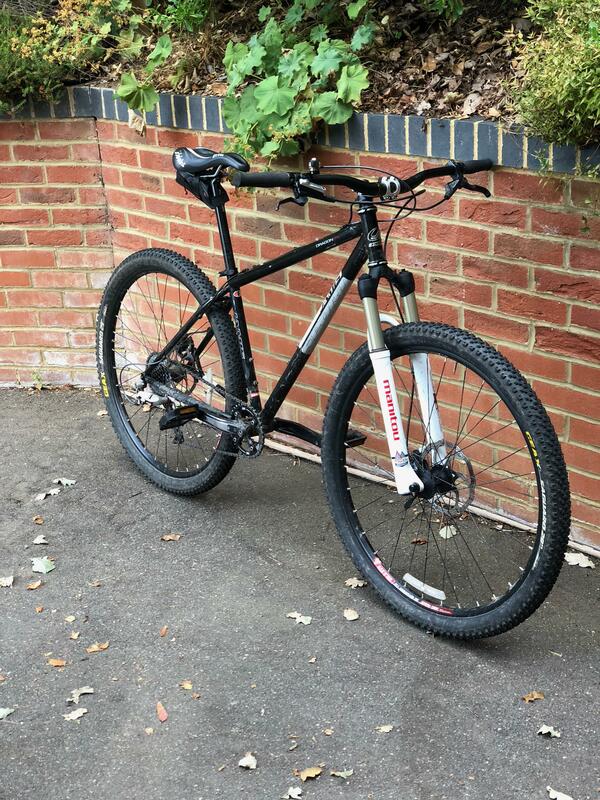 So yeah, my best friend was on shore leave from the merchant navy, and got himself a pretty sweet full sus 27.5+ MTB. Which mean he gave me his claptrap Jamis Dragon 29ers for free, after a couple hours putting it together, it's now just about functioning with a 36t N/W chainring, a 11-32t 8 speed cassette, and a cheapo Sunrace 8 speed thumb shifters. 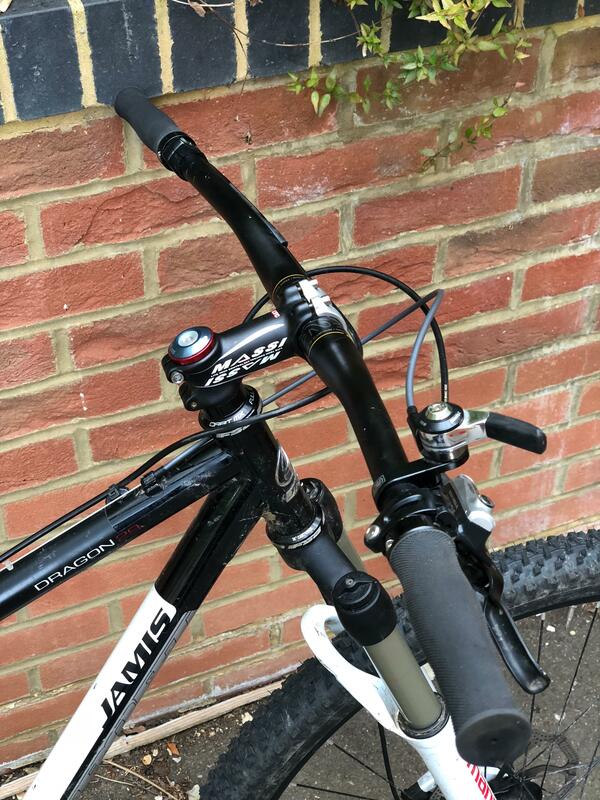 Took it out to Swinley, was fun, geometry is quite old school with a steep head angle, 110mm stem and narrow bar (now fitted with wide bar from his new bike), however the great thing about this Jamis is that it's not too heavy, good old butted steel and it's being steel mean the chainstay/seat stay are not curved. After measuring the chainstay, it transpired I can fit a 27.5 wheel with 2.8" tyres, big bonus this mean that a 27.5+ plus rigid bike is doable. Did I says it's free? The other thing about it, is the straight 1 1/8 steerer and simple 135mm QR rear wheel, this make it more feasible to be able to get replacement part, I don't need to build a boost/thru axle rear wheel when I can just get a nice Deore hubs laced to a wide rims. Took it out and had a blast, the long stem, wide bar, steep head tube, etc. was a strange sensation compare to the modern MTB with the slacker 68-69 headtube and tiny stem, but still quite fun to ride, the 36t chainring is obviously too big as climbing some of the hill wasn't easy, but it actually prevent the chain from coming off/slapping on the chainstay due to staying on the higher range of the cassette than the lower part. 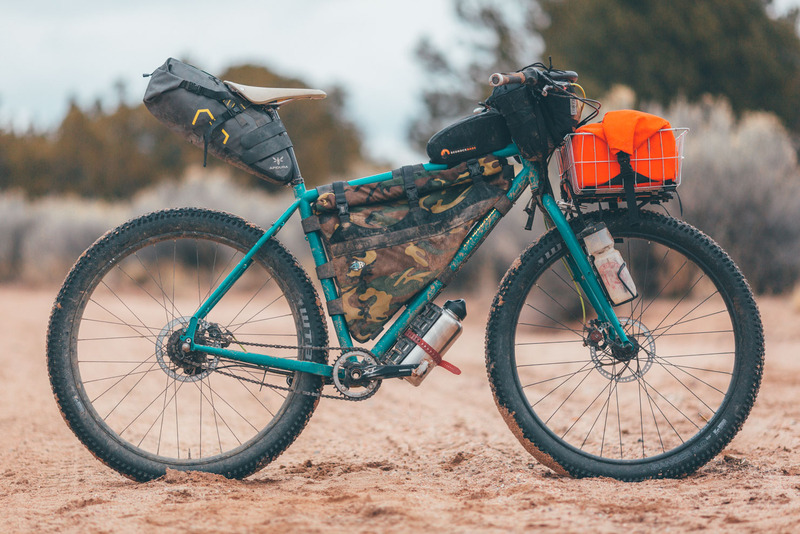 The Jeff Jones part, obviously I cannot get a near identical bike as his, but I can get a build that have a similar feature such as the plus tyres, the H bar, rigid fork, the bikepacking/commuting aspect etc. I won this Salsa Bearpaw alu fork on eBay, a non-recall model (v. important), it's basically a fat bike fork that have a similar length to the suspension fork on the Jamis to keep the geometry from changing too much, 135mm QR spacing mean I can actually just use my old 29ers rear wheel for the time being until I get a 27.5 wheelset build up. Having the bottle mount is a massive advantage allowing me to run a rack with a WALD basket for that prolly point or those cages to carry drybag on. Oh it's black, match the frame nicely, and it come with a better headset too, not bad for £70. 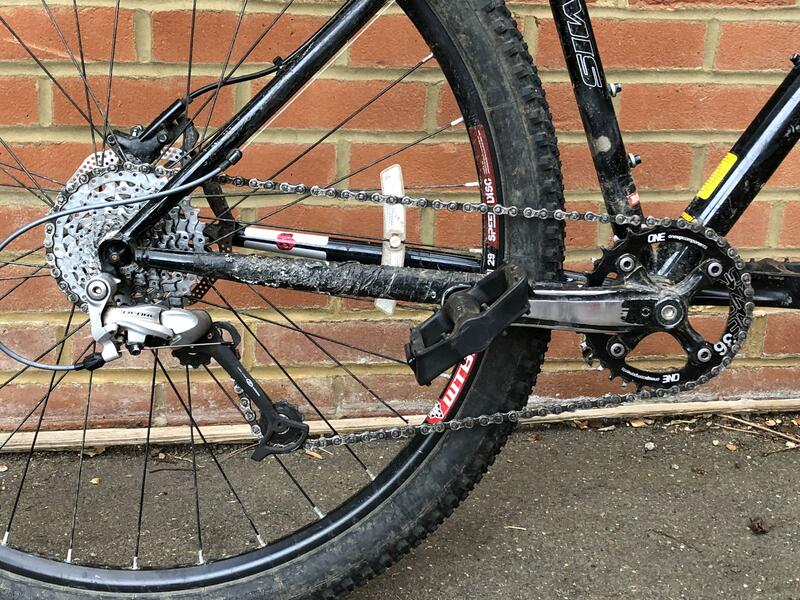 A grand total of £70 have been spend on it so far, the cassette is way too small and the chainring too big, I don't want to size down the chainring too much due to the old Deore derailleur not having a clutch, what can I do? 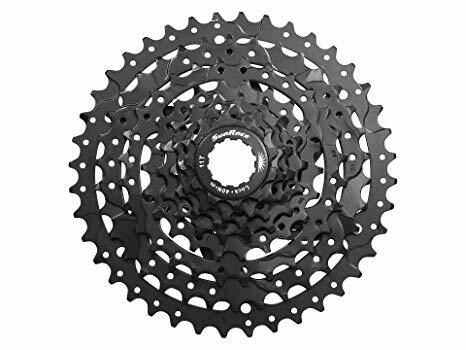 I got a 11-40t 8 speed cassette on order for £20, only time will tell if the gear jump will be too much for me. £90 so far, gosh this is getting expensive, best not to do an amey. 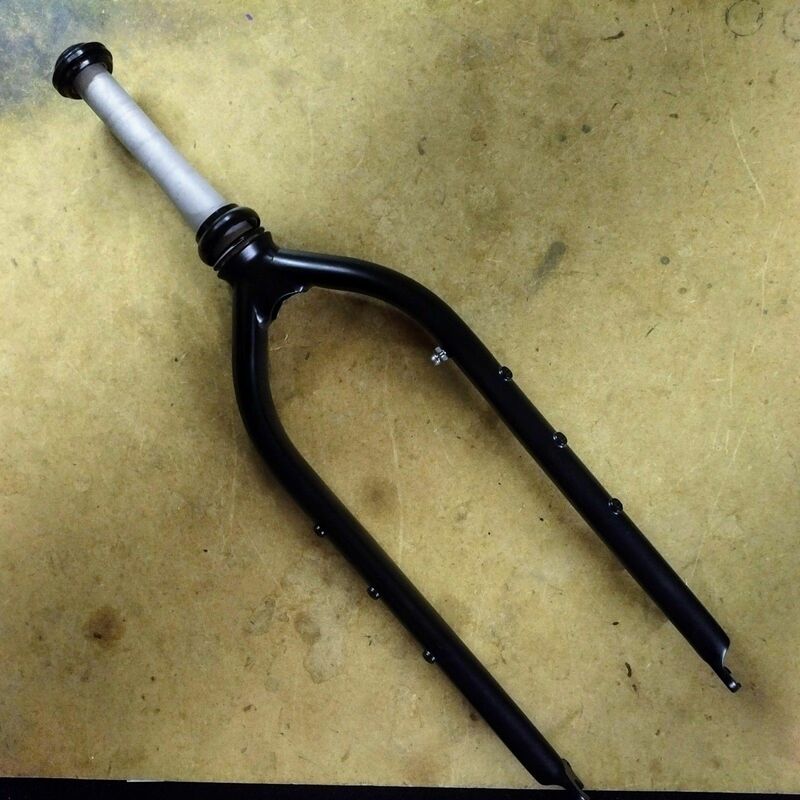 I am yet to build a bike because a saddle doesn't support the ST angle. Good thing with flat pedals, I don't need to worry about it anymore. 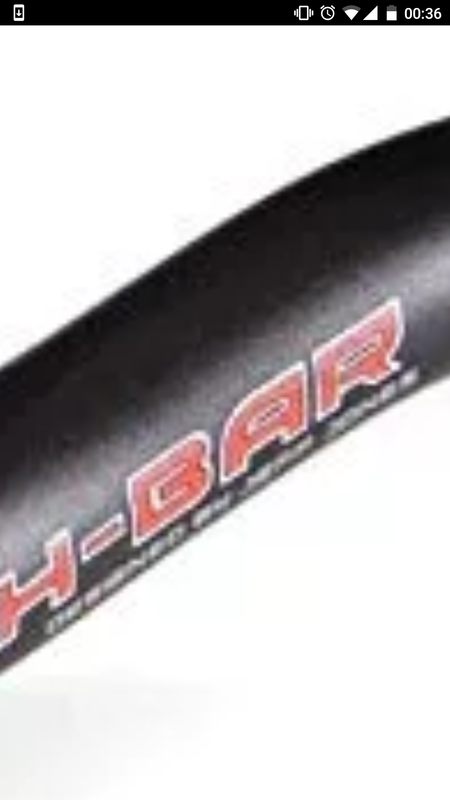 As luck have it, my friend still have my old Titec H-bar I gave to him 8 years ago, a crude copy of the Jones Bar before they stopped making it, this also mean I can save even more money (oh yes, it is free too, funny how I forget to mention this). 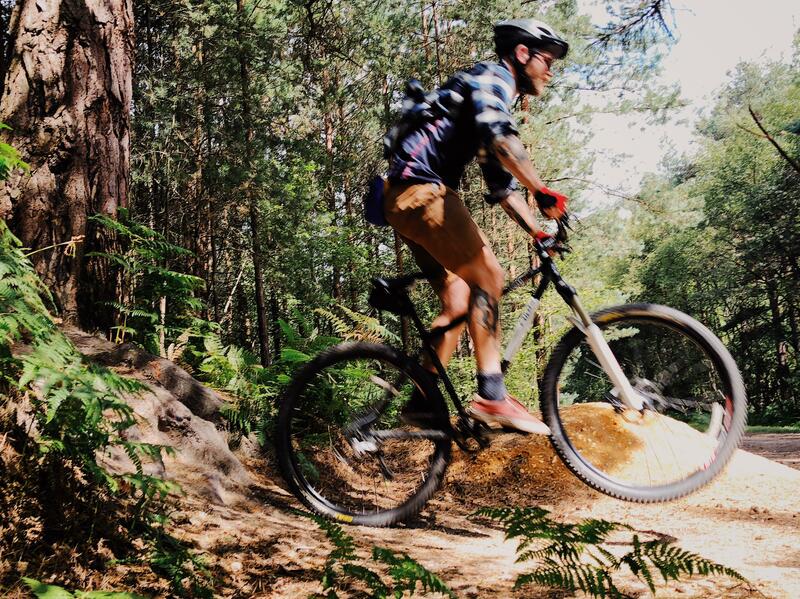 I used to have a fully rigid 29ers singlespeed Diamonback with that bar, and had a lots of fun in Swinley, so I know it will work for me. The ideas is, minus the hubs gear, to transform the Jamis into something more acceptable such as this, hopefully less than £200 total (TANS - Thing Amey Never Said). Awesome! Enjoying some of the antibuyer builds on here at the moment. I have that cassette and it's fine for me (that's round town though, not MTBing). You need a ~20% jump per sprocket for 8 speed 11-40 (11 × 1.2^7 = 40) compared to a ~14% jump for 11 speed (11 × 1.14^10 = 40). Can't imagine many situations where 20% is too big but 14% is fine - either they're both too gappy or neither is. What are you thinking for rims that take 2.8" but don't blow your budget? Gonna partner the 11-40 with a 32t chainring when I can afford it, as the 36t is still too big. As for rims, this will be decided later when I settle into the new job, in the meantime I'm gonna run 2x rear 29ers wheels to get it going until I can afford a rims and hubs combo (a singlespeed 135mm hubs maybe). Just for info, the Titec 'J' and 'H' bars were actually Jones's own design and fully endorsed by him.....so not a crude copy, but the real thing! Huh, haven't realised that, bonus point! Usually doesn't mean much, like a riser bar is a riser bar. Yeah, just saying the rite comes are not knock-offs, they're designed and endorsed by Jeff jones. 675ers I think you meant! 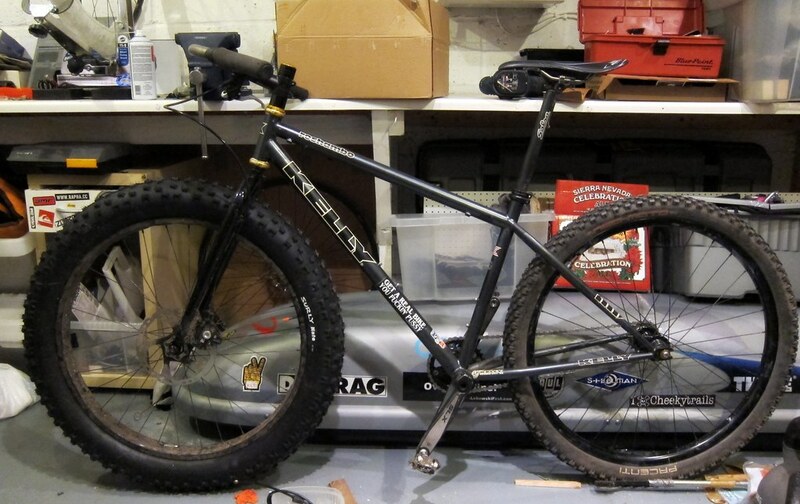 If a 69er was a 26" back and a 29" front then yours is a 756er, non? Yes. Always name from drive side. The new Salsa Bearpaw open up a lots of option for this, shouldn't be hard to find a 26" front wheel with 135mm spacing on eBay if I look carefully. Only issues is that inner tube, rims tape and tyres isn't cheap in comparison to using a 27.5 wheel with 3.0 tyres, but in the meantime, 2x 29ers rear wheel.